In freezing rain on Opening Day April 17, 1961 only 1,947 hardy souls showed up. Whitey Ford got the Yankees off to a good start blanking Kansas City, 3–0. Still, the Yankees moved out slowly that season. Just 9-19 in spring training, l8-15 as the season got into full swing, the Yankees in their first 33 games managed only 34 homers. But that would change. When Roger Maris joined the team in a 1960 trade, he was just another player added to the roster. He had not come up through the Yankee farm system. “The Mick” -- who had blasted 52 homers in 1956, some of them mighty shots -- was the favorite of the Yankee fans. The talk had always been that if anyone would break Babe Ruth’s single season record mark of 60, it would be the "Commerce Comet." 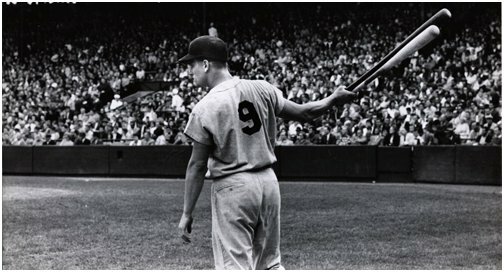 Through 10 games in 1961, Roger Maris was homerless. On May 17th he hit his first Stadium homer of the season off southpaw Pete Burnside of Washington. That gave the quiet outfielder four for the season. But there would be many more - -24 in his next 38 games. By the end of May, Maris had a dozen homers. By the end of June, he had 27. 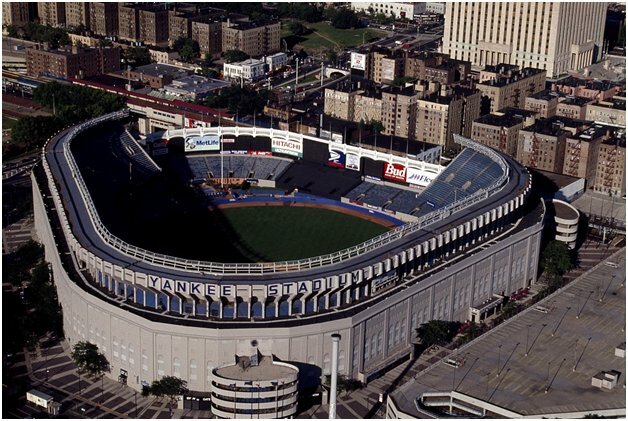 On July 1, 1961, the Senators led the Yankees 3-0, when a Mickey Mantle shot, a few feet left of the 456-foot sign in left field, put the Yanks on the scoreboard. Washington moved ahead 5–1. The Yankees closed the gap to 5-4 on a Mantle three-run homer. Then in the ninth inning, Maris pounded a two -run homer, his 28th. New York won, 7-6. JOHNNY BLANCHARD: Roger Maris had the locker next to mine. When he was popping those long ones out of the park, I had to get out of my own locker because 20, 30 writers would flock around him, and they would sift into my locker space. Roger was an introvert and did not like all the bright lights. That was what gave him the reputation of being nasty. But he was not. By the end of July, Maris had forty home runs. That placed his record six ahead of Babe Ruth’s pace. The "Sultan of Swat" had set his record of 60 homers in a 154 game season. But this year Major League Baseball had added two expansion teams to the roster and eight games to the schedule. Accordingly, Baseball Commissioner Ford Frick ruled that if Maris broke Ruth’s record, an asterisk would be placed next to the solidly-built Yankee's name in the record books. While all the focus seemed to be on Maris that '61 season, other Yankees had big moments, too, but none as big as Maris would have. On July 26, the man they called "Super- Sub" hammered his third and fourth straight home runs at Yankee Stadium powering a 5-2 New York win over the Chicago White Sox. Blanchard’s four home runs in a row over three games tied a major league record. On August 4th Maris clubbed home run number 41 at the Stadium off Camilio Pasqual of Minnesota. Home runs # 52 and 53 were slammed at the “House that Ruth Built” on September 2nd off Frank Lary and Hank Aguirre of Detroit. ROGER KAHN: I had a freelance assignment for Sports Illustrated for a story on Maris. He was fine, just a few little outbursts of temper. There were times when he got 50 reporters around him asking the same question. He’d answer them but he was annoyed. And Mantle would say: "I'm telling you Roger, you've got to take it." When it got to the point where he could not “take it,” anymore, Maris would retreat to the training room or sit at a huge oak table in the center of the clubhouse smoking Camels, sipping coffee while playing for hours with a contraption trying to manipulate a steel ball through a 40-hole maze. He was the talk of the town, the big news in the Bronx. But another Yankee who was having a spectacular season was the "Chairman of the Board" – Whitey Ford. And on September 9th, many were on hand to see one of their all-time favorites honored. BILL CHUCK: My dad and I came up by subway from Stuyvesant Town especially for “Whitey Ford Day.” I was very excited. It cost us three, maybe four dollars total for the two general admission tickets. We sat between first and third upstairs looking down, watching the ceremony. Whitey’s wife was out there and his three kids. The "Day" was not enormously sponsored like it is now. And unlike today where a “Day” for a player is given after his career is over, Ford got his in the midst of one of his great years where he ended up with 25 wins. The gifts, considering the money the ballplayers were making then, were pretty big deals to them. But they were no big gifts, really. There were things like patio furniture, movie cameras, color TVs, a trip to somewhere. Out of one of the bullpens comes a car pulling an eight-foot tall Life Savers package, peppermint, blue and white, of course. It drives up. It stops. Out pops Luis Arroyo who had saved Whitey so many times. He gives Whitey a big hug. Even from the upper deck, you could see the look of surprise and happiness on Whitey’s face. We all went crazy. PAUL DOHERTY: According to most reports, Whitey was very pleased with all the accolades and gifts but anything but happy over the “Life Saver” gimmickry that he thought a big tacky. Meanwhile, fame’s relentless spotlight continued to bear down on Roger Maris especially since Mickey Mantle, hobbled by injuries, managed to hit but one home run from September 10th on. Without Mantle as contender for the home run title and with the Yankees having clinched their 26th pennant, it was truly show time for Roger Maris. And the rest, as they say, is history and oral history.